If you’re looking for the ‘real Bali’ amid the rampant modern developments, you might just find it in Tabanan Regency. Just a short drive from iconic Tanah Lot, tourism gives way to blazing green rice terraces and narrow streets lined with the elaborate stone walls of traditional housing compounds. Here, local markets overflow with fresh produce and industrious locals, without a Bintang shirt in sight, and there certainly is luxury to be found on this southern corner of Indonesia’s hottest island. 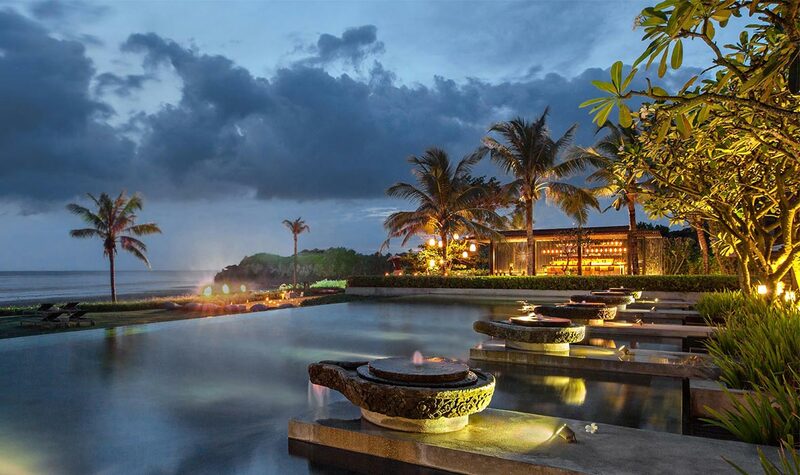 ABOVE: Soori Bali beachfront infinity pool at night. On approach to Soori Bali, cobbled roads wind through scenic villages, before slicing through expansive rice paddies. You can’t help but slow down, if only to stare at the quirky antics of ducks waddling in the watery fields. Arriving at the resort, the focus remains on nature with an impressive, tree-lined path to lead you gently into luxury. A color palette of black, grey, cream, and white illuminates the volcanic sands and crashing waves of a wild beach backdrop. This makes the vivid green of the grass-framed infinity pool and surrounding rice fields pop in a way that’s stimulates the senses. 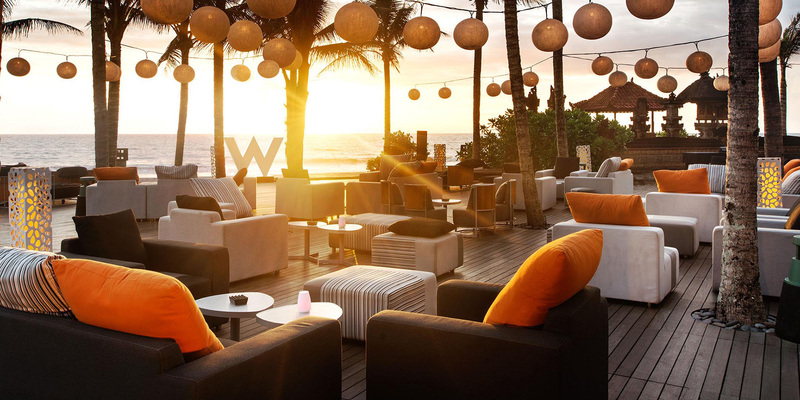 Soori’s restaurants, Ombak, Cotta, and The Reading Room, take full advantage of the resort’s one-of-a-kind views. Exquisite bites – like Ombak’s confit of goose leg from Tabanan, with blossom honey and lavender glaze, soft whipped potatoes and grilled baby vegetables – tempt the taste buds, while smooth architectural lines soothe the soul. 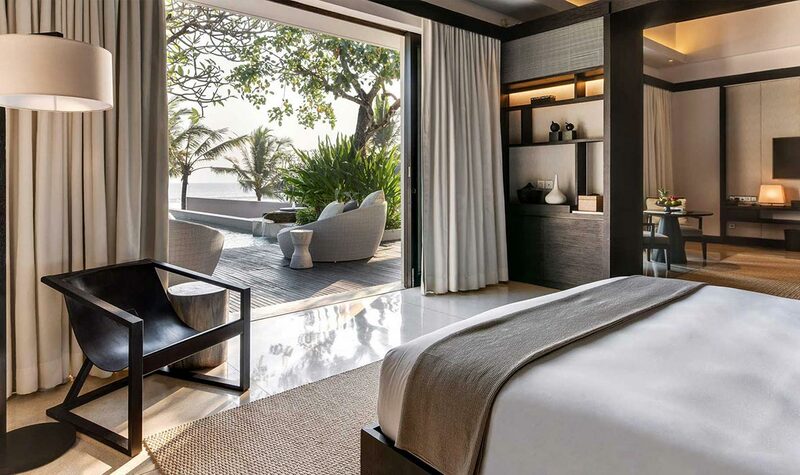 ABOVE: Suite at Soori Bali. 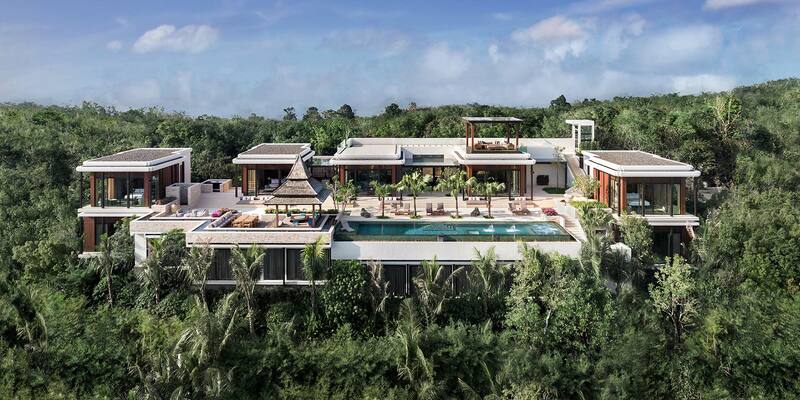 Contemporary villas offer private pools positioned for sweeping panoramas. Butler service, outdoor showers, and lavish linens come as standard. For ultra luxury, the Soori Estate is a 10-bedroom residence with its own gym, library, and spa therapy room. Even if you have your own, you don’t want to miss a visit to Soori Spa. ABOVE: Jatiluwih Rice terraces in Tabanan Regency. 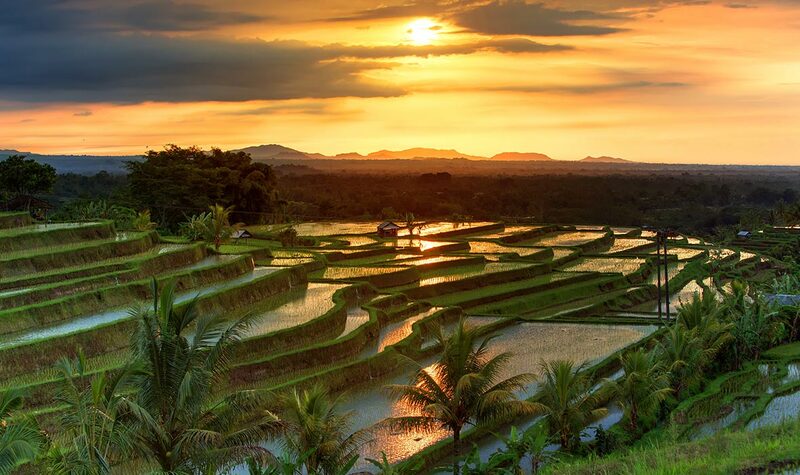 Regular travelers to Bali will know the enchantment of the sprawling rice paddies, and Tabanan’s Jatiluwih terraces are among the most picturesque. Exploring here can take a couple of hours or a couple of days, with sloping, terraced views for as far as the eye can see and remote pathways to lose yourself in the natural beauty. 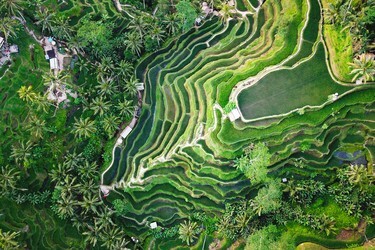 The UNESCO-listed area is part of the subak, an irrigation system that dates back to the 9th century and nurtures the emerald landscape of steep steps and patchwork fields. A subak, in itself, is a representation of harmony between spirit, people and nature. This Balinese philosophy sees farmers work together to ensure fair distribution of water. Bali’s second highest peak offers a moderately challenging hike, with views all the way to Java as the reward. 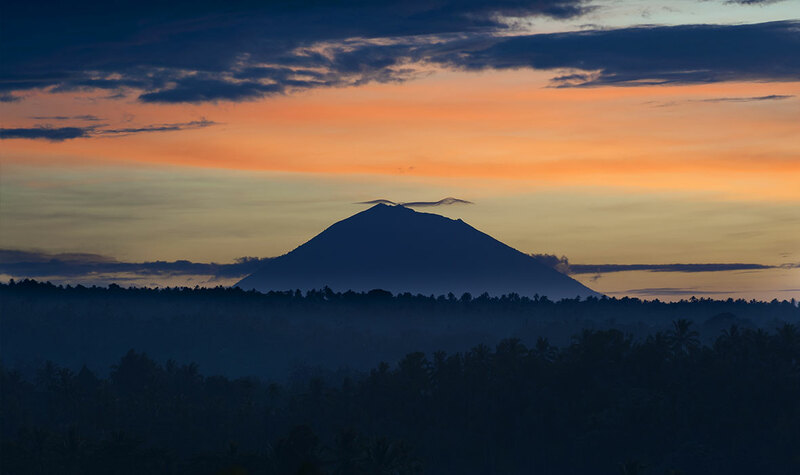 An extinct volcano, Mount Batukaru sits on Tabanan’s landscape like a king on a throne dominating the surrounds. 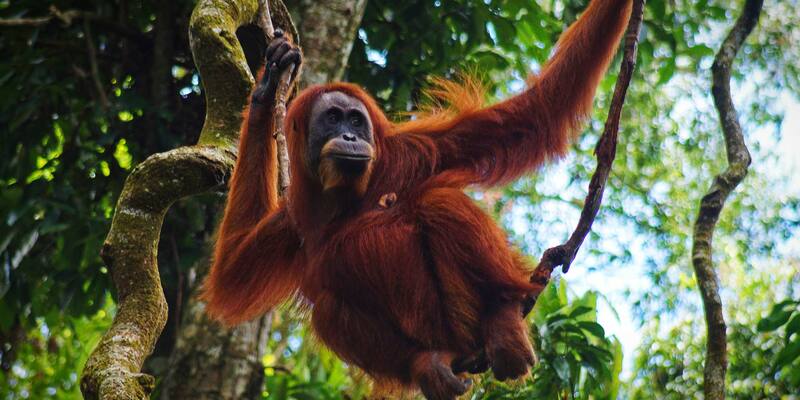 The number of hikers is limited per day, which is evident when immersed in the thick rainforest and spot way more monkeys than people. As a sacred site, a series of temples line the unsealed trail to the summit. Local villagers believe that their spirit will return to the mountain when they die. This adds to a mystical atmosphere beneath the forest canopies, which is also a wildlife conservation area. Mount Batukaru is an all-day trek, so get there early and preferably in the dry season between May and September. ABOVE: White Buddha statue of Vihara Dharma Giri. Though there are areas of chaotic Bali traffic, the traditional highlights of Tabanan are easy to find and best seen from a motorbike or scooter. 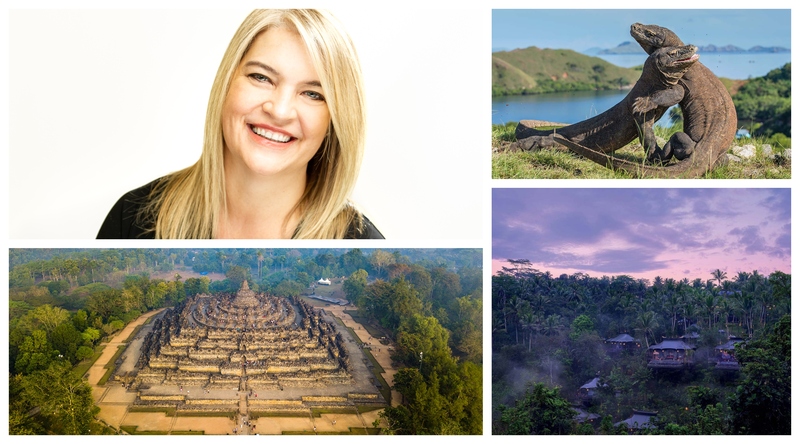 Cruise by rolling hills, zip through pockets of rainforest, take breaks by rice fields, and end up in authentic villages full of smiling locals balancing fruit on their heads. In terms of temples, Tabanan boasts one of Bali’s most revered and most visited, Tanah Lot. The key to visiting the dramatic 16th-century sea temple is to arrive when the gates open at 7 am, well before the tour bus onslaught. 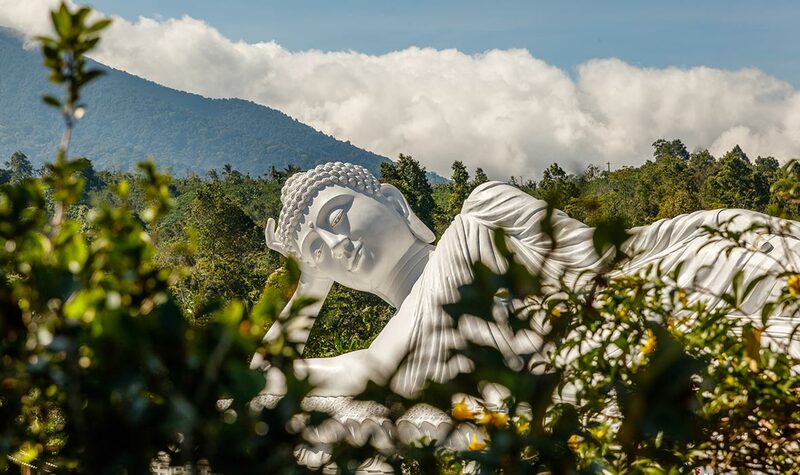 The rural village of Pupuan is home to the reclining white Buddha statue of Vihara Dharma Giri. Venture up to the cool highlands of Bedugul to find Ulun Danu Beratan Temple, which reflects beautifully on the mirror-like surface of Lake Bratan. White beaches are great for lounging, but black sand is perfect for photographs. Tabanan’s coast is dotted with volcanic sands that glint like diamonds in the sun. Wild, black beaches stretch for miles without a soul in sight, ideal for secluded strolls with only the crashing waves for company. These aren’t necessarily ‘laze on the sand all day’ spots, but unique ocean landscapes that dramatically enhance the surrounding green. 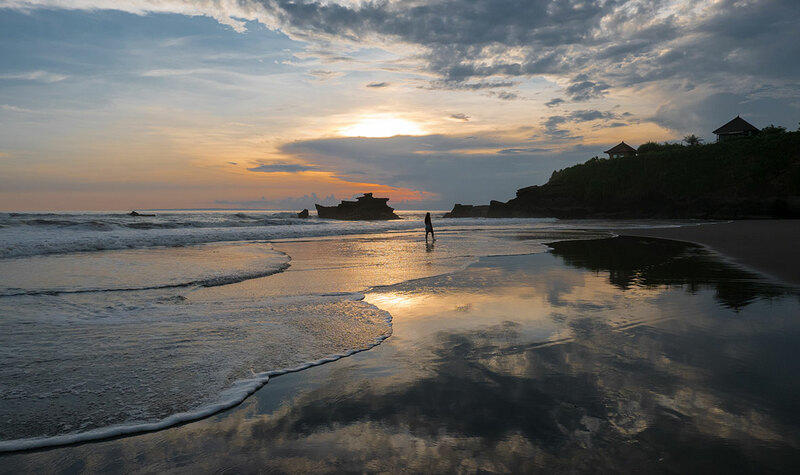 Balian Beach rests along a mellow village, flanked by the river and a rocky headland. Strong rips mean swimming in the shallows, however consistent swell draws surfers year round. The vibe is old school Bali, as the developers have yet to swarm this region. Soori Bali’s motto is, “Bali as it should be”, which sums up the Tabanan Regency quite nicely indeed. It’s nature, it’s culture, it’s luxury. Bali can develop all it likes, but this corner will stay quiet. 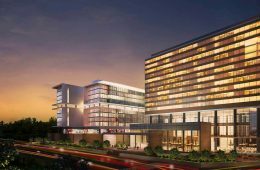 In Singapore for business, the Grand Prix, a wedding, reunion, or another event? 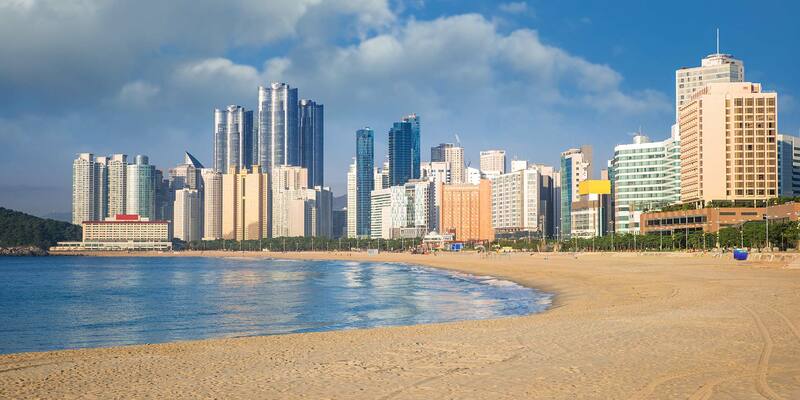 While in the Lion City, take advantage of this major airline hub and turn your trip into a vacation with these quick and easy add-on getaways. 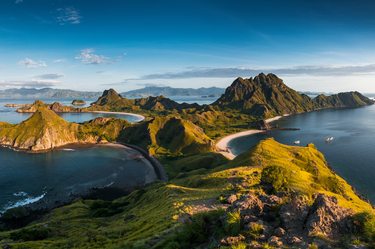 Leave the bustling city of Singapore behind for the blue waters and wildlife of Komodo National Park. This quick and easy 5-day getaway to Komodo National Park will take you around this UNESCO-designated marine reserve in a private schooner. Leave the bustling city of Singapore behind for an island getaway just an hour away. This quick and easy 5-day getaway to two of Indonesia's beautiful island paradises will transport you a world away. 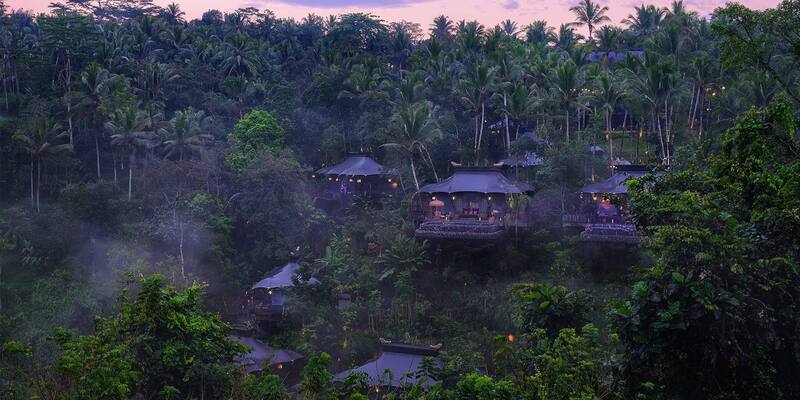 Leave the bustling city of Singapore behind for Ubud, the heart and cultural soul of Bali. 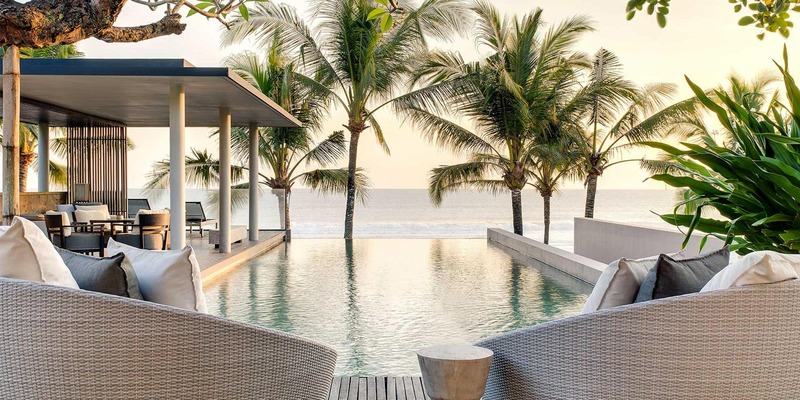 This quick and easy 5-day getaway to the lush island of Bali takes you to its verdent rice paddies and ends on the beach. Discover the world-renowned dive sites around the northern tip of gorgeous and naturally diverse Sulawesi. 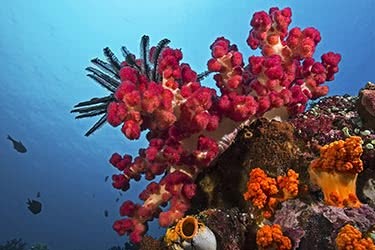 On this week-long adventure, you’ll discover the “critters” who dwell in the Lembeh strait and the exotic marine life around Siladen island, off Manado. 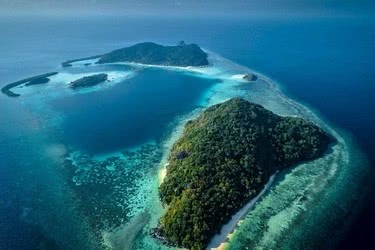 Prepare for a diving holiday like no other. 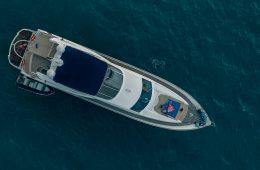 Spend six days cruising around Komodo Islands, exploring uninhabited islets, prehistoric caves and trekking the jungles. Of course, the main attraction here are those slithery dragons, which roam the island along with lots of other wildlife. 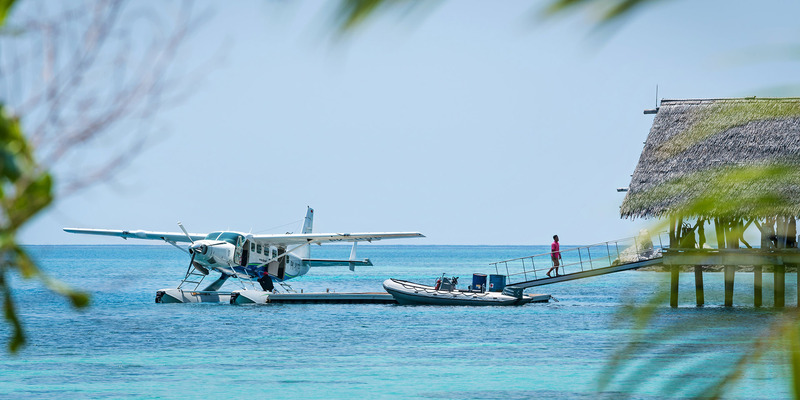 There’s plenty of time to snorkel or dive around the gorgeous reefs and pristine beaches too.